Note: The 4-day group departures listed above include the trekking portions of the itinerary below (days 3-6). Our specialists can help you plan the rest of the trip around your chosen departure date. Treks depart from Huaraz, an adventure town where you can check your gear and pick up snacks for your ride to the trailhead near Vaqueria (12,139 ft / 3700 m) or Cashapampa (9514 ft / 2900 m). The walk can be done in either direction, however, the first day is less strenuous if you start in Vaqueria. The route is well-signposted in either direction. The high point along this 27 mile (43 km) walk is Punta Union Pass (15,616 ft / 4760 m). If you have more time to spend in the wilderness, there are a few side treks you can make, extending the trip to a week or more. This article explains the main route of the trek, plus various side trips. It’s a good idea to also take a day trip to Laguna 69, before reaching the trailhead at Vaqueria. Expect to walk about 7 miles (11 km) each day (five to eight hours). There are some stretches (particularly around Punta Union Pass), where water is scarce, so carry extra water bottles. Even though it's a protected area, you'll see livestock in these valleys, so you should boil water before drinking it. A checkpoint is located at either end of the trek, and you’ll need to show your passport. The following itinerary starts at Vaqueria. ¡Bienvenidos! Welcome to Peru! Upon arrival in Lima, transfer to the bus station to board the overnight bus to Huaraz. This bus ride is about 8-hours long. You will arrive in Huaraz early tomorrow morning. 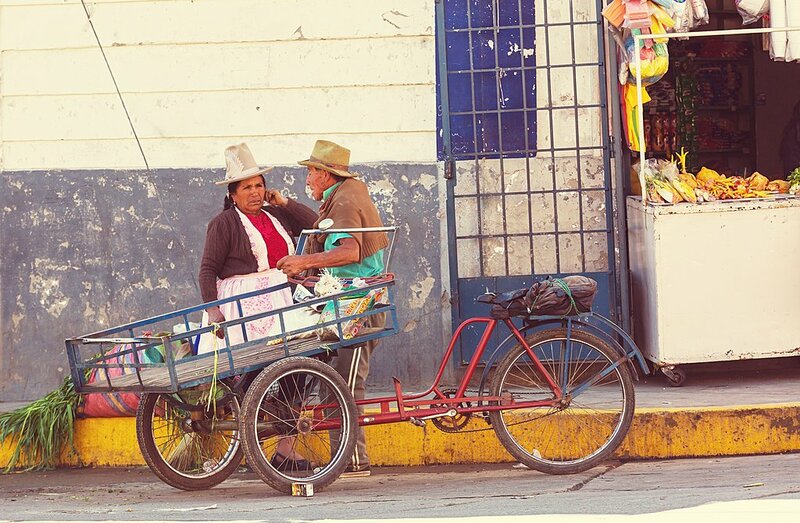 Upon arrival in Huaraz this morning, you will be greeted and transferred to your hotel. 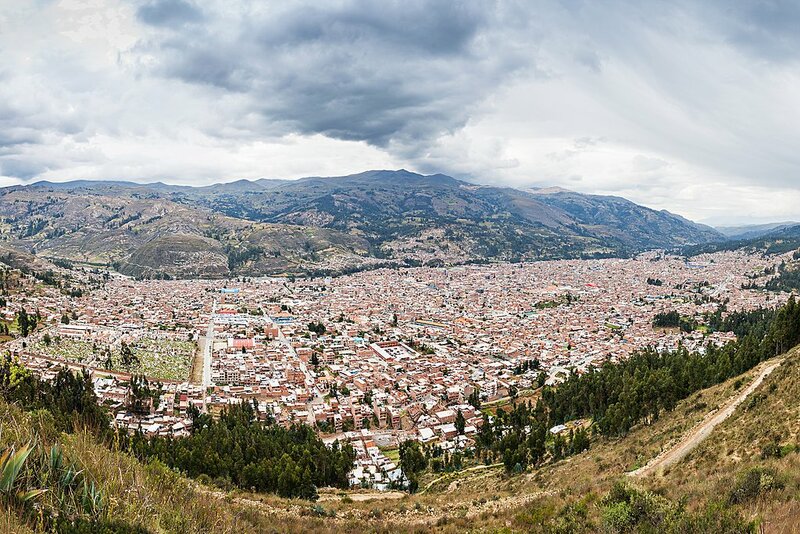 After you get settled in, you will tour around the town of Huaraz. Including stops at the Plaza Mayor, the Archaeology Museum of Ancash, Temple of Señor de la Soledad. Get a glimpse of what old Huaraz looked like on Jose Olaya street, which is the only street that remained intact after many earthquakes. Stop at the Pinar viewpoint, to get a panoramic view of Huaraz. In the evening, return to your hotel in Huaraz. A river crossing along the Santa Cruz trekking route. Start in Huaraz and travel 71 miles (114 km) to the trailhead at Vaquiera. 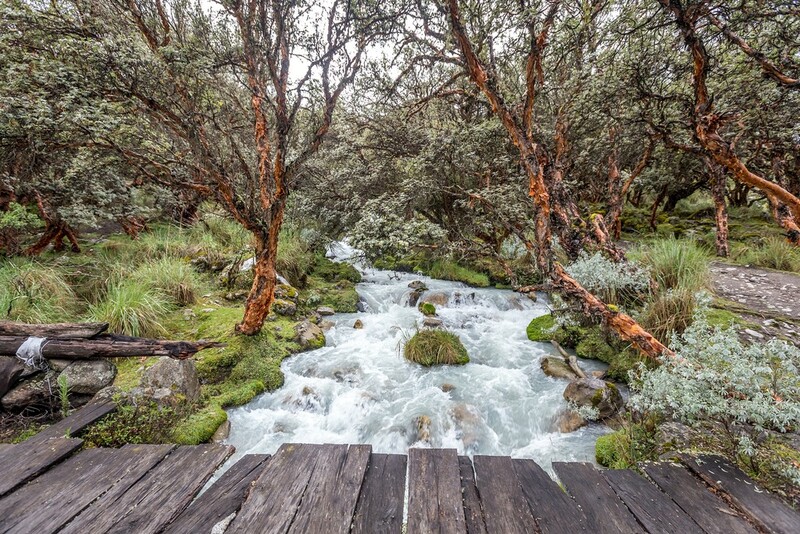 The path is well-marked up the Huarípampa Valley, and for the first few hours and you'll pass small farms and a hamlet with traditional Quechua homes with thatched roofs. Camp tonight at Paria campsite (12,795 ft / 3900 m). Trek for 6 miles (10 km) up the Paria valley (from the Paria campsite) to get views of Nevado Chacraraju (20,039 ft / 6108 m). Close to Vaqueria, you could also make a side trek up Ranincuray Valley to Laguna Tintachocha, a nice spot for camping. This is a 7 mile (11 km) journey that takes about five hours. 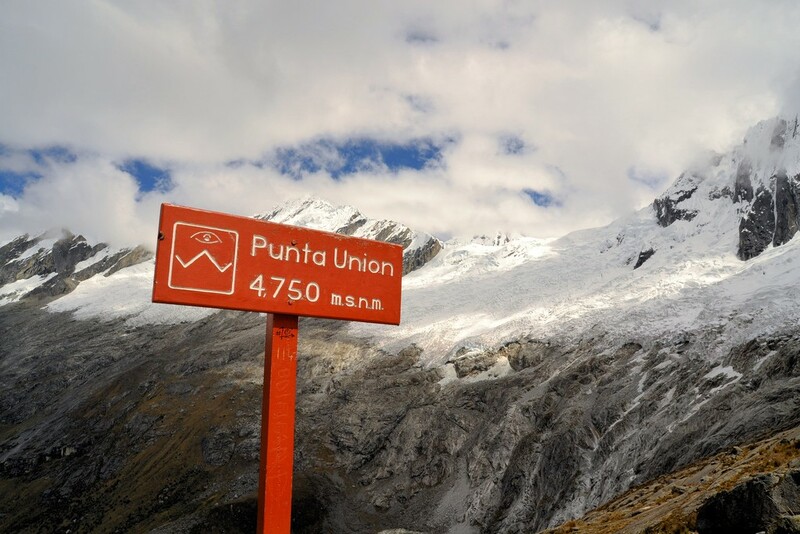 Punta Union Pass, at 4750 m, the high point on the Santa Cruz Trek. This is a tough day of trekking and your fitness and acclimatization will be put to the test, so take your time and drink lots of water. After about three hours of hiking, you’ll reach the Punta Union Pass, a narrow notch in the granite wall of mountains. You’ll be rewarded for your efforts with awesome views of Taulliraju (19,127 ft / 5830 m), the glacier-wrapped peak that dominates the views to the north. The Taullicocha laguna far below on the other side of the pass is a beautiful turquoise hue. After enjoying the views set off downhill to camp in the meadow of Taullipampa (13,956 ft / 4254 m). Pack up your gear and take a look back to the stunning granite walls of Punta Union Pass. From here the trail continues along an area of loose sand and rock — the result of recent floods. An avalanche in recent years broke an ice dam that held back the waters of the small Laguna Arteson Bajo. The resulting flash flood wiped up the trail, so the path has been altered in some parts. This section of the trail passes Lake Jatunchocha (12,749 ft / 3886 m), where you can spend some time lounging by its shores or going for a chilly dip in its waters. Camp tonight at Llamacorral (12,335 ft / 3760 m), a grassy field surrounded by boulders. View of the famous Alpamayo Peak, which can be seen as a side trek from the Santa Cruz trail. Instead of trekking straight to Llamacorral, you can take a slight detour that will extend your walk by one day. 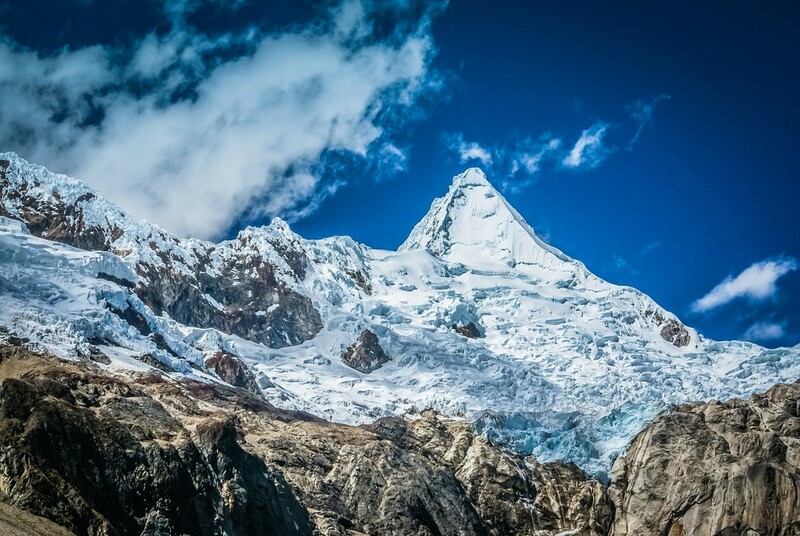 This route begins by heading up Quebrada Arhuaycocha, a steep valley of granite and ice where you can enjoy views of Nevado Alpamayo, a famous, pyramid-like peak. You can also see the peak of Artesonraju, another impossibly steep mountain. This is the mountain depicted in the live-action Paramount Pictures logo, with its summit ringed by 22 stars. The full hike up the valley ends at the Alpamayo Base Camp, where climbers set up their camps. 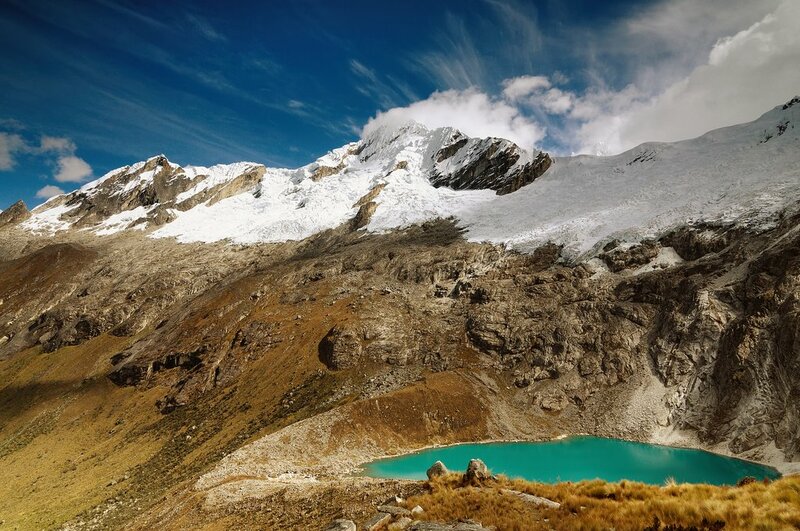 From the base camp, it’s possible to reach the high-altitude Lake Arhuaycocha and then head back downhill to camp overnight in the main valley at the Llamacorral campsite. The distance of this side trip is a total of 7 miles (11 km), or 6-7 hours. The path continues through a grassy ravine, past waterfalls and steep walls of sheer rock. The path is obvious and you'll finally emerge from the canyon to views of the farmland of the Santa Cruz valley. The long journey finishes in the village of Cashapamapa, where you can catch transport to the town of Caraz, and another ride to Huaraz. 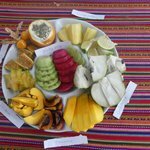 Spend the night at your hotel in Huaraz. Enjoy a hearty breakfast at your hotel, then transfer to the bus station for your 8-hour ride back to Lima. 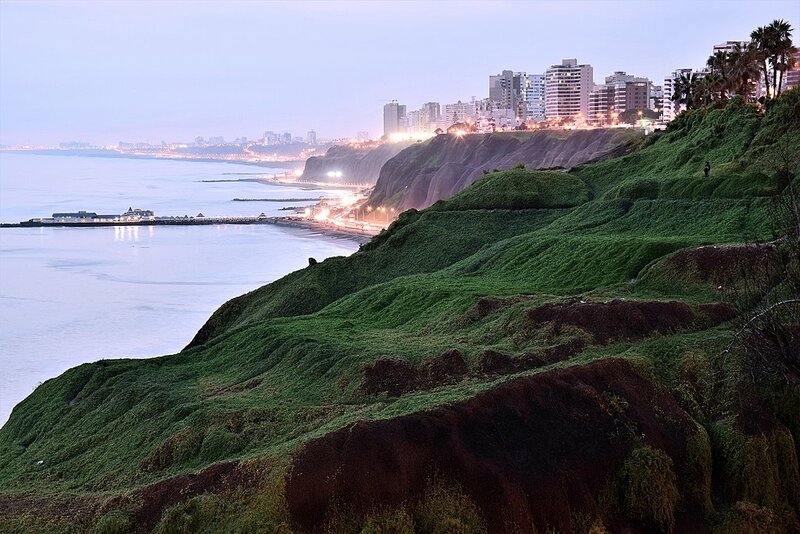 You'll arrive in Lima in the evening. Upon arrival, transfer to your hotel and take time to relax. Today is your last day in Peru! You will be met at your hotel for a transfer to the Lima Airport, where you will transfer to your international departure. 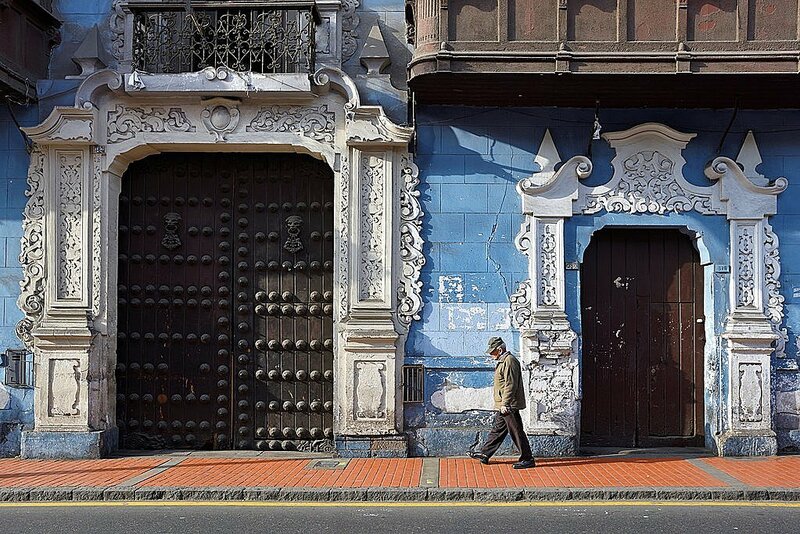 Alternatively, stay and extend your time in Peru — there's so much to see and explore. ¡Buen viaje! Laguna 69 makes for a good day trip that can be tagged onto the Santa Cruz trek. On the way to Vaqueria, we recommend taking a day hike to Laguna 69. 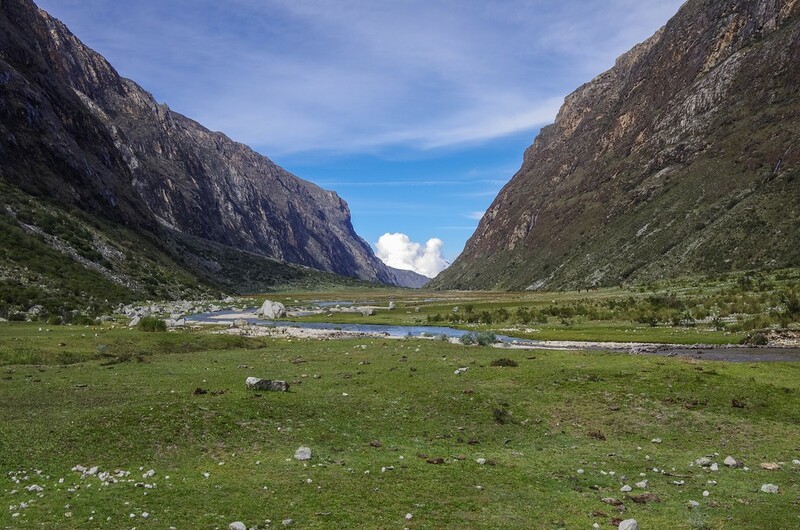 Not only is this a great hike for acclimatization on the longer Santa Cruz trek, but the lake at the end of the trail is one of the most beautiful in the Cordilleras – a turquoise body of water surrounded by steep granite cliffs and ice falls. If you have time, this is also a good overnight hike, with a fine campsite en route. 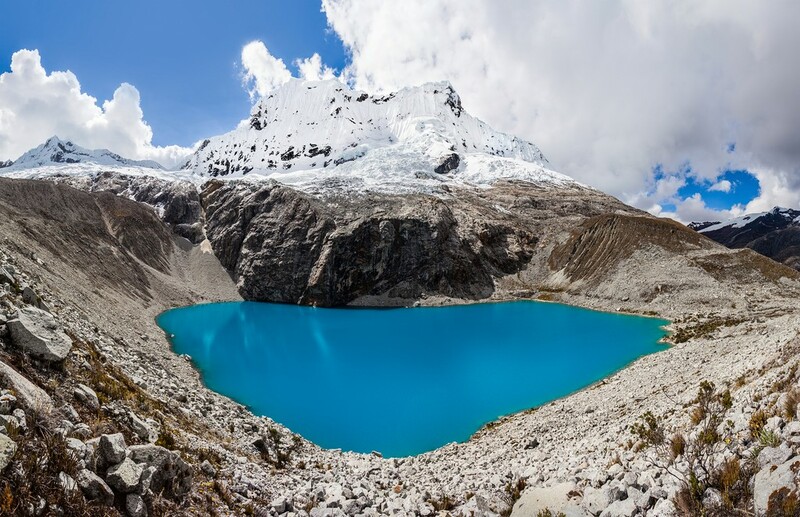 The lake is located at the base of Chacraraju (20,052 ft / 6112 m), in Huascaran National Park, near the village of Yungay. Round-trip, the walk takes 5-6 hours. The first 45 minutes takes you over some streams before a set of switchbacks that lead to the first lake. Continue up another set of switchbacks to higher elevations where the landscapes change from forest to high alpine. You’ll enjoy stunning views around every corner. 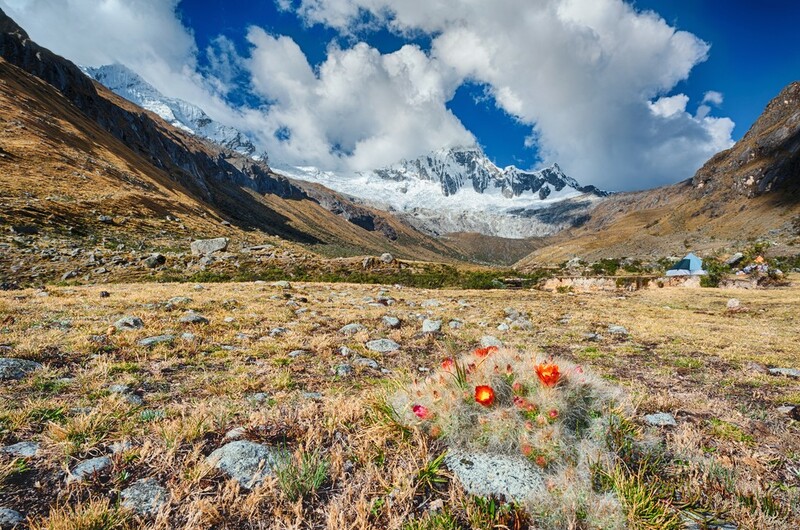 On the return walk, you’ll enjoy terrific views of three mountains: Huascaran, Chopicalqui and Yanapaccha. You can camp at Llanganuco Lakes, close to the main road. Note: The 4-day group departures listed below include the trekking portions of the itinerary above (days 3-6). Our specialists can help you plan the rest of the trip around your chosen departure date.